We realize that there are many out there that cannot get out to one of our appearances and get these cards. Many people have fantastic collections of cards, saving them in special binders. So here is what we've done. We have taken pictures of all of our cards, front and back. These pictures are the same size as our cards. Print them out on your computer printer and glue the front and back together, then put it in your binder! The descriptions of each card are great stories on how each photo came to end up on the card. 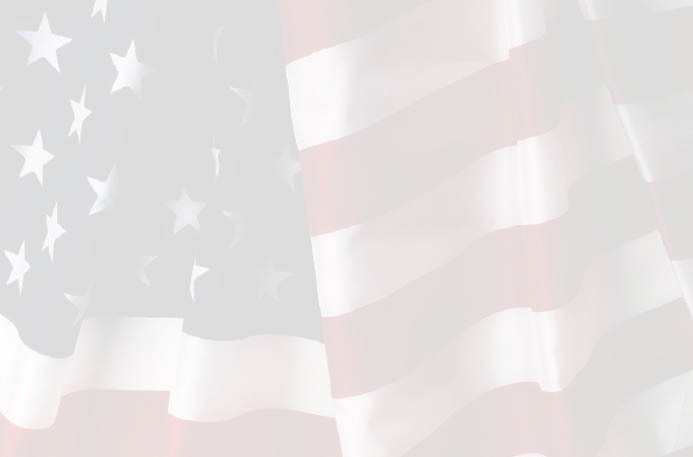 Thank you for the support and we hope to meet you all sometime. 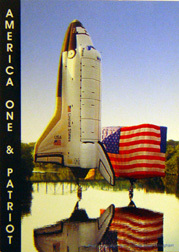 In the meantime, put "America One", "Patriot" and "Flighthouse" in your collection today. 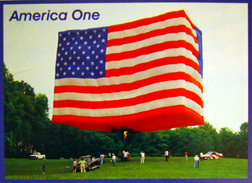 This picture was taken in the back field of the family farm in Eagle, Pennsylvania for the inaugural public inflation of America One. It was a breezy day and we needed the woods as a wind break. 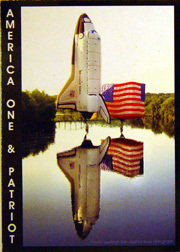 "America One" did not fly until several weeks later. Also note the MR2 Flag car in the background (it was around before "America One") and our first dually before it became the first Flag Truck. 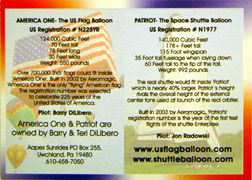 This picture was taken in 2003 at Lewiston-Auburn, Maine during the Great Falls Balloon Festival. 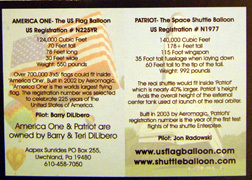 Both balloons left Railroad Park which borders the Androscoggin River. Staying close together, both settled down on the river for a long term "Splash & Dash". This picture was picked up by the AP wire and appeared in no less than a dozen papers around the United States. This picture was taken in Brazil for the first test inflation of "Flighthouse". Since this balloon was built late in 2006 (finished in July), there wasn't time to get "Flighthouse" set up for pictures before it's first appearance in the International Balloon Festival of Saint-Jean-sur-Richelieu. We used this picture so that the cards could be made and shipped up to the event in time for that first appearance. 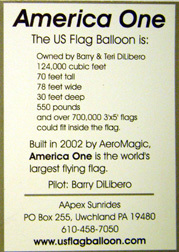 This card is actually a business card size, not the collector card size.